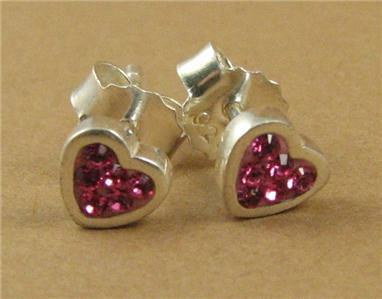 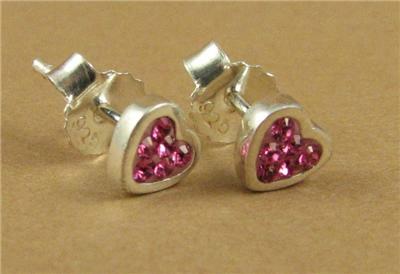 This is a pair of heart shaped pink crystal stud earrings. 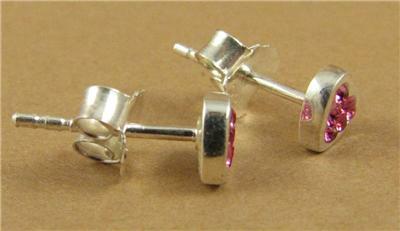 The crystals are genuine Swarovski element crystals which are faceted to catch the light beautifully. 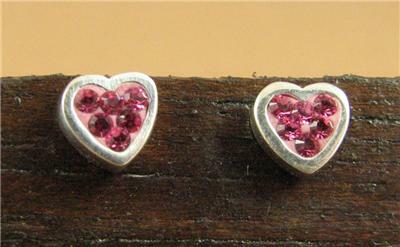 The earrings and the butterfly fixing at the back are solid sterling silver. 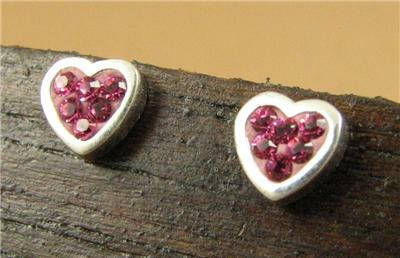 The hearts are 5mm across at the widest point, and 5mm from top to bottom. 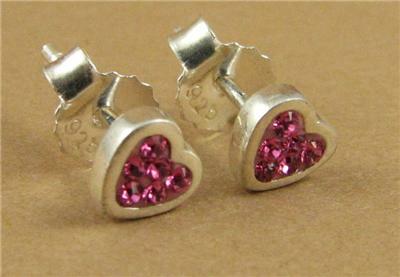 Every item will be sent beautifully packaged in a cotton gift bag.